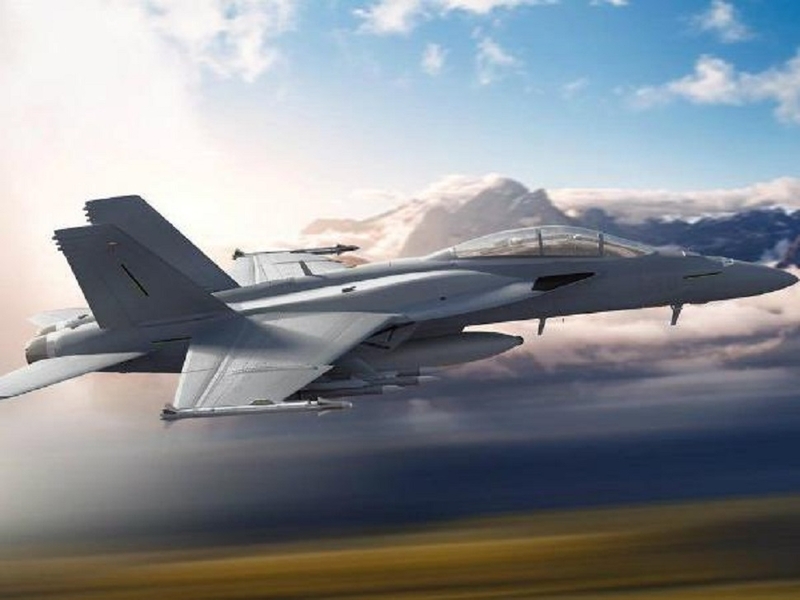 EYEING India’s multi-billion dollar fighter jet market, Boeing has offered to build a 21st century aerospace ecosystem in India for co-developing F/A-18 Super Hornet upgrades as part of the country’s advanced medium combat aircraft (AMCA) programme. Two major American fighter jets manufacturers - Boeing and Lockheed Martin - are in the race for the Indian fighter jet market. Lockheed Martin has offered to shift its entire F-16 manufacturing base from US to India. “What we’re talking about is a complete ecosystem of capability – it’s building up supply chain, it’s building up engineering capacity, technical mechanical capacity. It is bringing the build, not the kit, to India,” Marc Allen, President of Boeing International and a member of the Boeing Executive Council, told PTI. Last month, Allen was named senior Vice President of Boeing and President of Embraer Partnership and Group Operations. Boeing has offered that future F/A-18 upgrades can be co-developed with India, maximising performance, affordability, indigenisation for decades. The McDonnell Douglas F/A-18 Hornet is a twin-engine, supersonic, all-weather, carrier-capable, multirole combat jet, designed as both a fighter and attack aircraft. Allen argued, the impact will be transformational - building a next gen warfighter in India and a 21st century aerospace ecosystem with HAL and Mahindra along with Boeing industry’s partners (GE Aviation, GKN Aero, Northrop Grumman and Raytheon). “And that’s why the idea of being able to service, both the Indian Navy and the Indian Air Force requirements together is so vital because it creates a volume that supports industrial development at a massive scale,” Allen said in response to a question. Boeing says that the ‘Make in India’ programme for the Super Hornet has been envisioned for aircraft made in India for India. The Super Hornet production line will exist in the US to meet the immediate needs of its American and international customers. India is to build an entirely new line, leveraging Boeing’s commercial and defence experience, Allen said. The Super Hornet is the airplane that fits the requirement of both the Indian Navy and Airforce, he asserted. Boeing says that the Super Hornet offering for India co-opts the expertise of a public-private partnership with HAL and Mahindra to make the F/A-18 Super Hornet in an advanced Factory-of-the-Future in India. The partnership, it asserts, will harness productivity opportunities in India to deliver more-for-less (more capability for less cost) to its Indian customers and world-wide.